I recently took my six-year old to see Beauty and the Beast. After the movie, he began asking questions like “Why did the Beast throw the rose on the ground?” or “Why did the Enchantress turn the Prince into the Beast?” and on and on…and on (if you have kids, you know what I’m talking about). I decided to start asking him questions like “Who was your favorite character and why?” and “Why do you think the Enchantress decided to turn the Beast back into the Prince?” After reflecting on the countless hours that we spent analyzing the movie, I was amazed with how his mind was working. Most kids are born with an innate curiosity and use it to develop their tastes, personalities and identity. Studies have shown when curiosity is nurtured at home that by the time the child goes to school, they have a head start on their peers. Learning is more fulfilling and therefore, further feeds their curiosity. 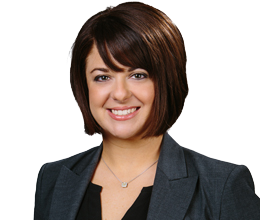 Although curiosity often fades over time, intellectual curiosity is a critical skill for internal auditors. 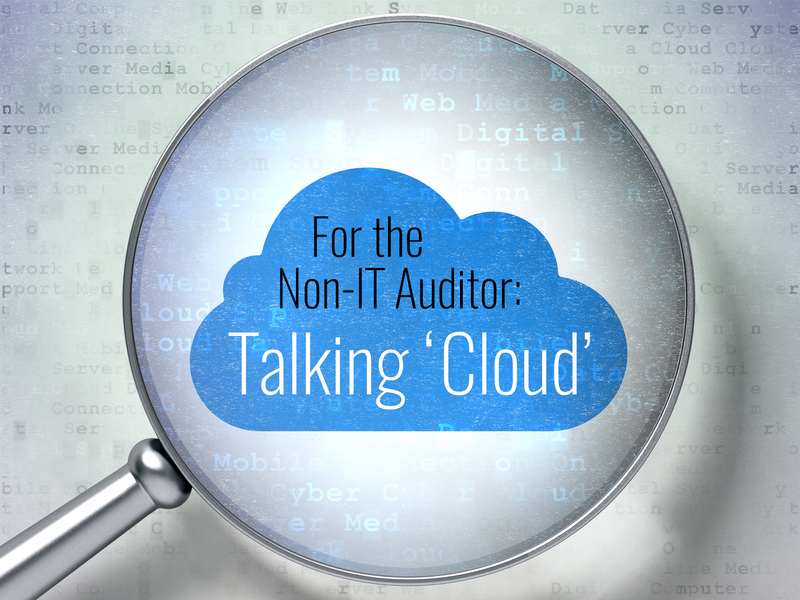 While many internal auditors often apply the “same as last year” approach to auditing, given the changing landscape of business, many audit teams are faced with having to rethink how they are performing audits. When you think about how to encourage intellectual curiosity in internal auditors, you need only look at how you would nurture your child’s curiosity. Lead by example – The conversation about Beauty and the Beast would have ended much sooner if I hadn’t started asking my son questions. I showed him that I was interested in understanding what he was thinking and challenged him to support his views. Your job as a leader is no different. Ask probing questions of your team and don’t just give them answers. 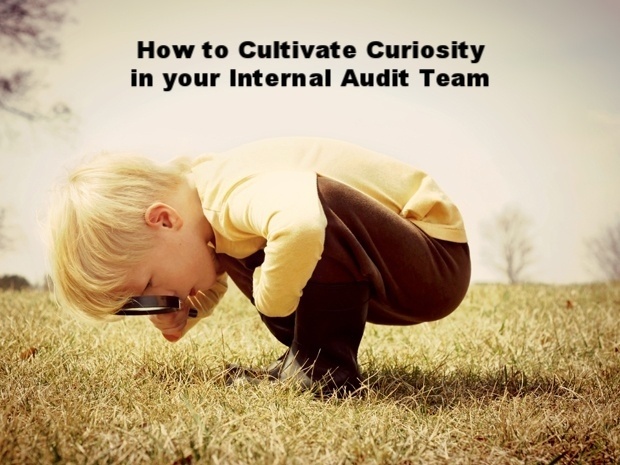 Practice growing your own intellectual curiosity and show your team how to take a fresh perspective to internal audits that you’ve done before. Create a trusted environment – The bond of trust that you create with your kids is the reason that they feel “safe” to be curious. 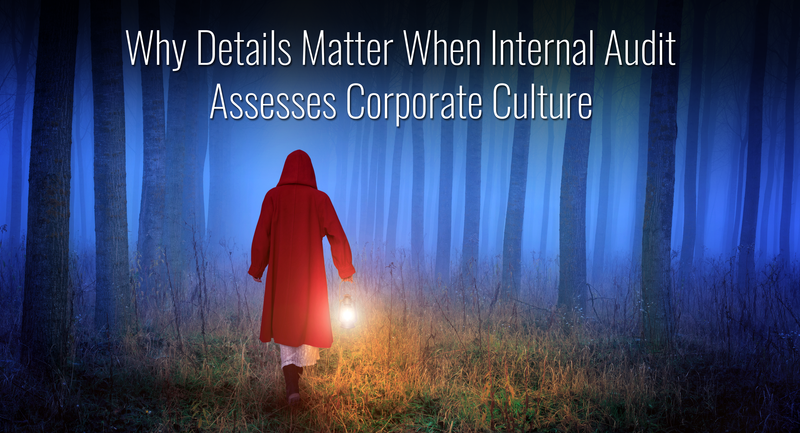 It is important to create a trusted relationship with your internal audit team. Confidence comes from being able to ask questions, feeling supported and being allowed to make mistakes along the way. Whether in parenting or leading a team, don’t be afraid to show vulnerability and admit your own mistakes. Fostering a dynamic where mistakes are accepted helps create willingness to try again in the future. Focus on adding value – As parents, we hope our kids will make the world better than they found it. Promoting curiosity is one way to encourage them to add value. Many of our internal audit teams are made of up of millennials who are motivated by doing meaningful work. They are willing to work harder when they understand the importance of their task within the context of the company’s overall strategy. If your internal audit function is solely focused on compliance, you miss out on opportunities to further cultivate intellectual curiosity. Reward curiosity – Parents know that kids are extremely motivated by rewards (also known as bribes). Millennials also have a desire to be recognized for their efforts. Managers can encourage intellectual curiosity by recognizing and rewarding team members who demonstrate this behavior. I reward my child for good sportsmanship and not necessarily winning the game. Likewise, it is important to recognize that success isn’t always measured by wins, but rather by behavior. The concept of intellectual curiosity permeates Beauty and the Beast through Belle’s appetite for reading or the reminder to look beyond what can be easily seen. Even in the magical world of Disney, it is “bittersweet and strange, finding you can change, learning you were wrong.” After all, my son taught me a lesson in the power of curiosity.